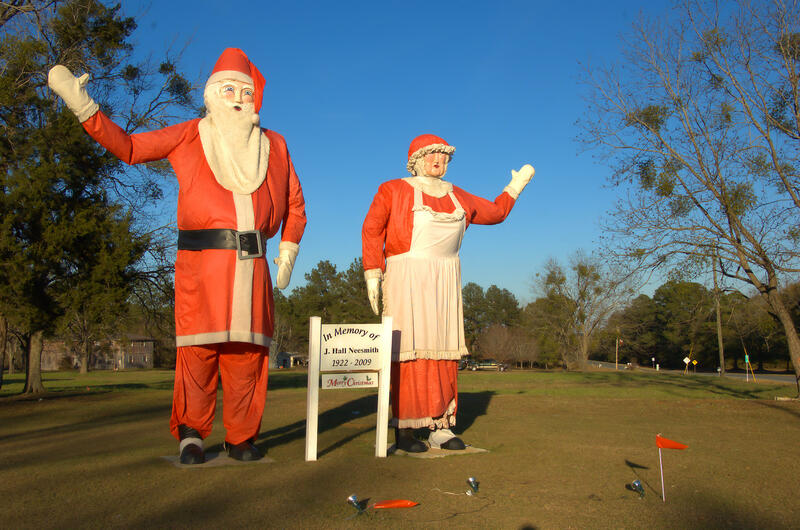 Karen Carrow Dees writes: Cedar Crossing Methodist Church and cemetery sits on land donated to the Methodist church by my husband’s family years ago. 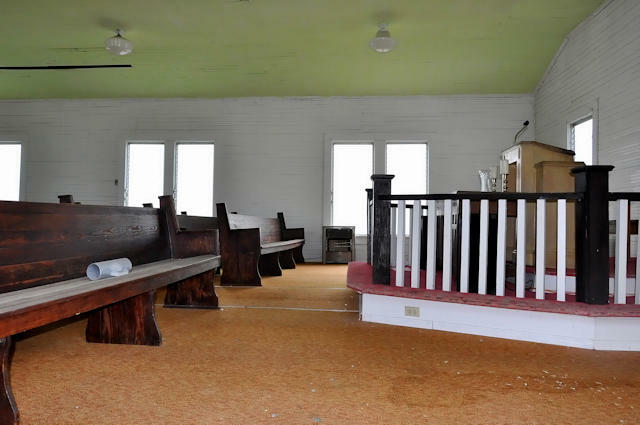 (Dees Family) It was used as a Methodist Church for many years and most recently was used by the Hispanic Methodist community. It is unused now and will return to the family. (Karen notes that as of 2016, the Hispanic congregation has purchased the church and will be using it for their services). 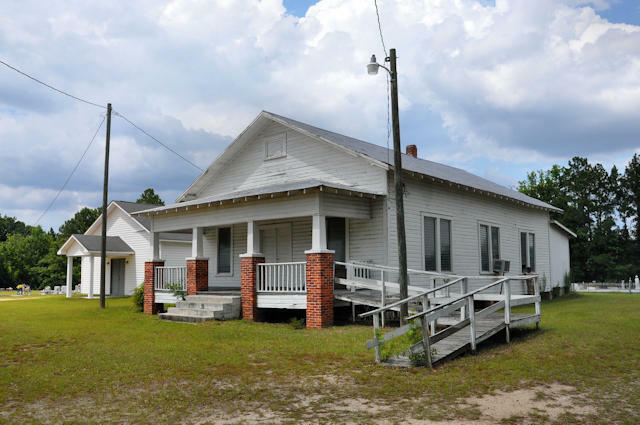 John W. Easterling recalls: Attended church here in the 50’s with Uncle Dent Brantley and Aunt Liza Brantley when I stayed with them in the summer. Had wonderful dinner on the ground. Many hand held fans moved the air around in the church. Dalt and Ola Geiger were my grand parents on my mother’s side and they attended church once in awhile. I have fond memories of that area. 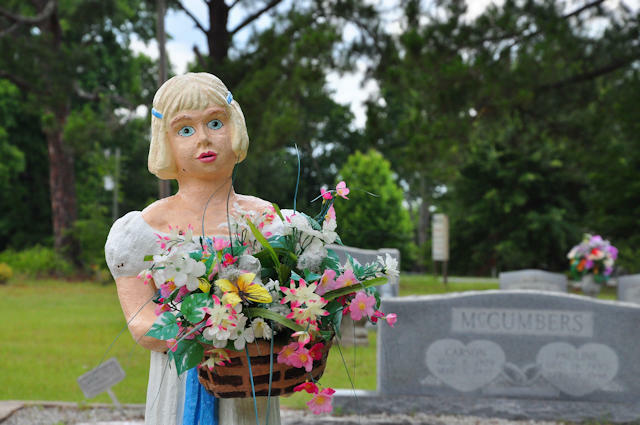 While they seem unusual to some, these decorations are a time-honored tradition in some Southern cemeteries and represent a deep love for the departed and a celebration of life. Whether simple or elaborate, they’re always nice to photograph. I’m so honored that relatives shared the stories behind these tributes. 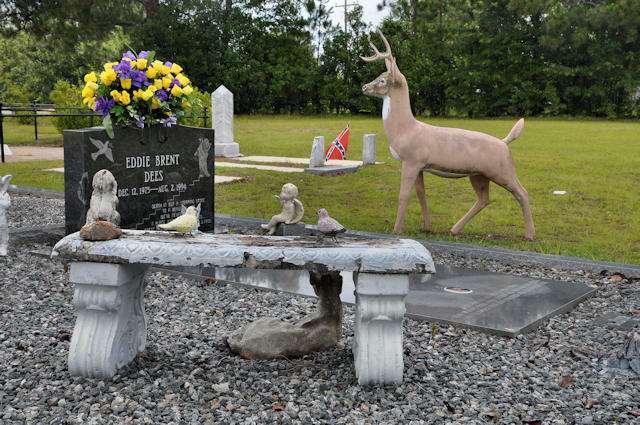 Marsha Ann writes: The grave with the deer belongs to Brent Dees (18). He and my brother, Marty Galbreath (19), were killed in an automobile accident on August 2nd 1994. Tony Smith writes: This is my Dad’s gravesite. My brothers and I felt it would be as Dad would want it with his sons getting together to build this. He was a cement finisher/frame carpenter and all around house builder. We built this in honor of Dad by hand. He had 15 children and many Grandchildren. Lola Smith Leigh adds: Anyone who knew my Father, Hugh Smith, knew his work was truly his expression of art. He was a master craftsman and took great pride in his labors. 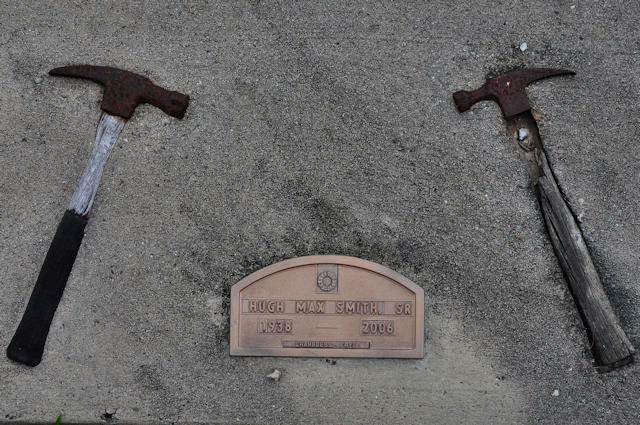 The gravestone my brothers created for him is a beautiful tribute to our Daddy and it is so comforting to see the tools that were as much an extension of him as were the hands that wielded them. 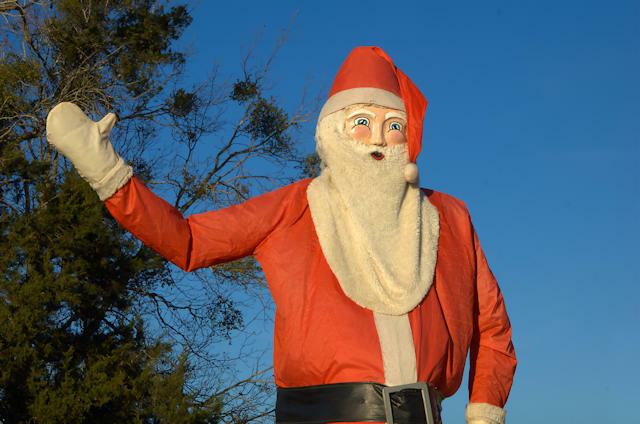 These decorations are nearly 20 feet tall and are a well-loved annual tradition which was started by J. Hall Nesmith. Thanks to Kate Moses for the background information. 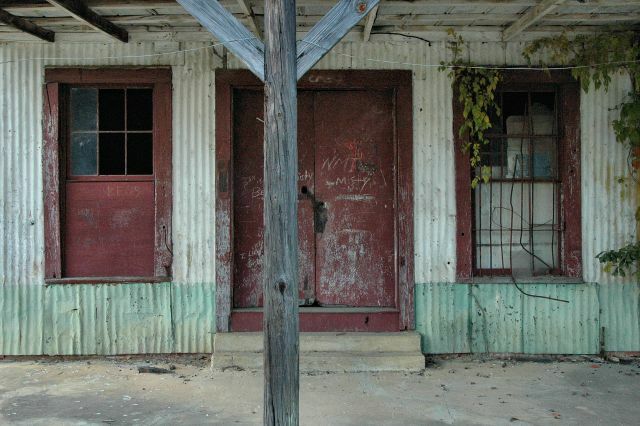 Dianne Fowler Foskey Dees writes: This is a photo of the old H.J. Fowler Grocery, which was operated by my parents H.J. Fowler and his wife Lavonne Miller Fowler from about 1962 until 1972 when they build the previous, new store across the street now know as Cedar Crossing Grocery. The original, new store built by H.J. himself was part “Mini Super Wal-Mart” meaning they served fresh cut meat of all kinds, all types groceries, gas, oil, sewing products, and just about anything you needed in an emergency. There was also a small garage built on one end. 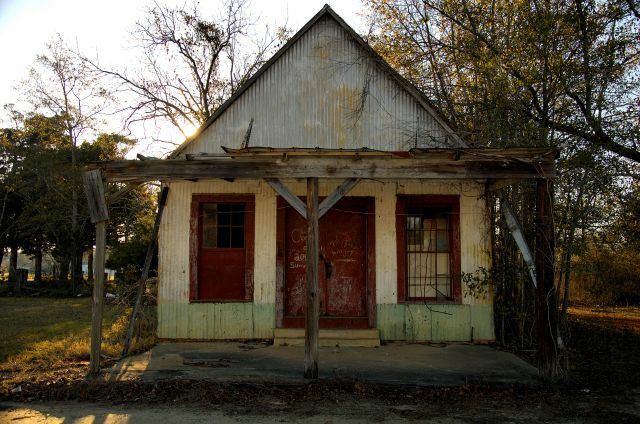 This store burned after being sold to The Beasleys. The fire started from a grease fire at the then “Smith’s Fried Chicken” that was built from the old garage. The old H.J. Fowler store was left abandoned for the most part after the new store was built, but there was some temporary mechanic work, and sales along the line of Salvation Army work for some vendors. The H.J. 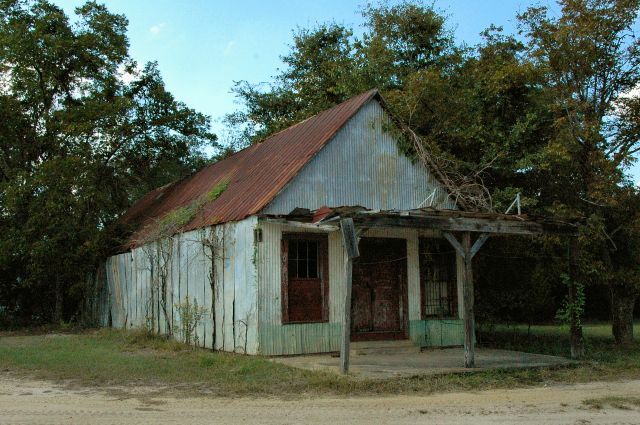 Fowler store was for many years a gathering place for the older men in the community. They would sit on the porch and talk about life matters (or so they said), I always just thought they talked about others. It was a quieter time, an easy time, a time when people cared about others, and everybody was family whether it was by blood or choice. Just thought I’d remember a little bit. I stop to photograph this store every time I pass through Cedar Crossing. Somehow, it hangs on.